I’ve got a few great e-commerce ideas to boost your online stores revenues without the need to acquire more visitors; affiliate marketing. You only get money when a visitor purchases an item. Be it from your company or not, you have nothing to lose! In a nutshell, affiliate marketing is essentially the promotion of merchant’s products by an affiliate in return for commission on any sale that is made through that promotion. As an online store, your task is set in driving targeted traffic and converting them. Suppose your customer doesn’t want to check out with you in the end – they’ll simply click out of your site if they can’t find a better way. Your targeted visitors have just vanished, possibly to spend money elsewhere. Affiliate marketing allows you to harness the marketing power of bigger brands, offer your visitors more choice and reward you financially for your efforts. Everyone wins! Try promoting a larger range of related items on your general sales pages before your visitor adds anything to their basket. Whether your unique selling point is price or not, using widgets showing the latest prices from your competitors is an easy way to improve revenues. Yes, you are handing your visitor to a rival store but you are getting paid and you don’t have to handle the order. Online price comparison services such as Kelkoo offer affiliate programs, but usually such programs work on a click through system. You will only get paid if the visitor first clicks onto their site, and then through to the merchant. Whilst conversion rates are very high, you only get paid pennies which can make the whole objective somewhat pointless. You want the higher commissions from the result of a purchase. ** Some webmasters may do very well with shopping comparison websites; it really does depend on circumstance. Trial and error yourself is probably the best path. 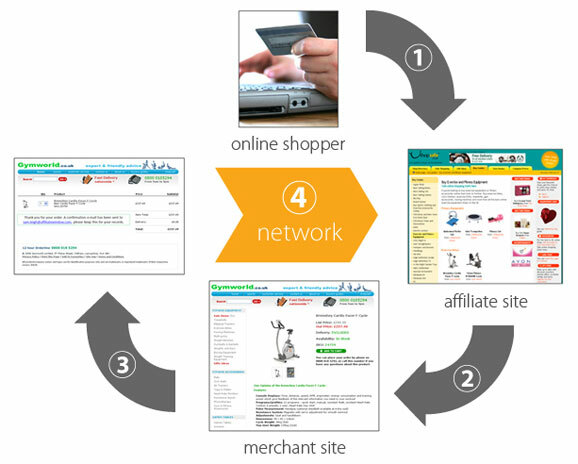 You should offer affiliate links directly to other merchants. Selling iPods? Reference the RRP with what the Apple Store is selling them at – even promote the Apple Store. For example. “We sell iPods for £100, but get them with a free engraving from Apple direct at £107”. Showing up-to-date price comparison demonstrates enormous credibility which will brush-off on your visitors. It also allows you to leverage off other companies marketing efforts whilst still making money yourself. Remember, no-one benefits until that visitor checks-out. Since that visitor has already travelled through your website, make sure if they do checkout anywhere on the web that you benefit! ** TOP TIP: Now they’ve got something in their shopping cart, it’s important that they don’t lose it - so don’t pull a silly stunt and use affiliate links for the same browser window. Sure, they’ll arrive at the affiliate merchant, but they won’t be on your site anymore and they won’t have anything in their basket! ALL links to external sites should open in a new window. Keep your visitor until they want to leave. You should do this anyway with your own products. You should promote your own related products just before checking out. A visitor has a Nintendo Wii in their basket – promote your ‘Wii Fit Bundle’. Show the savings and make it easy to add more products to their basket. ** Online surfers are quick and judgmental. Cut out the fat and get to the point. Surfers who have already got an item in their basket have already made their decision - in their mind all they need to do is pay. Any affiliate links in the PRE-checkout stage needs to be short and snappy. Banner creative’s can do the job, but make sure they look like they’re supposed to be there – explain them a little bit, but whilst still maintaining millisecond long interest. Why not look at opt-in tickboxes or something similar? Post check-out you still have a captive audience – simply because they’ve already purchased from you doesn’t make them worthless. Before considering further monetization from the single visit, you need to look at ways to get that customer to come back and buy from you again. Perhaps promote a newsletter at this point, or include a ‘sign-up to newsletter’ in your check-out process. Back on the subject of income streams, you could look to actively promote some general, related merchant goods – remember, all your customers should end up on the page after checkout so any affiliate links need to be general again – not specific. Google Adsense could work a dream here if applied correctly. Adsense is the publisher end of Google’s advertising network and will crawl your pages to provide the most appropriate adverts from its advertising network. You can set it to filter out direct competitors so you don’t have customers immediately requesting refunds having found the goods cheaper elsewhere. You could promote related goods such as accessories or accompaniments. For example if you had just sold an iPod you could promote iPod accessories from eBay and music from the iTunes Store or Amazon mp3. If you’ve got a newsletter, a blog or anything similar related to your website, why not promote affiliate merchants goods there? You’ve already got a captive audience that trusts you. Equally, you could slip in a few affiliate links in your ‘Thank You’ and ‘Confirmation’ pages; whilst you’ve still got their attention. Okay, so you’ve got some ideas on what affiliate marketing can do for you – now where can you get it? I’ve found Affiliate Window to be by far the best affiliate network company I’ve worked with. They have a comprehensive range of affiliate merchants with exciting creative’s that are easy to implement, they update you on your creative's (automatically where available and via email), they let merchants contact you to update you about their marketing efforts (including how you can get involved and what’s in it for you) and they offer an easy to manage secure login system. Affiliate Window is great at keeping only the best affiliates. They charge a £5 fee per application which is credited straight back into your account if you’re accepted. This keeps the fraudsters and the get-rich-quick crew away. join Affiliate Window here or you can browse their range of merchants. Looking for a particular affiliate merchant to partner with your website? Try using SBI’s Search It! tool. It is an easy-to-use function that converts your specific search request into search engine talk and presents you with the results. Open up Search It! here 2) In ‘Step One’ select from the drop-down menu ‘Monetization’ which is under the heading ‘CTPM’. 4)	In ‘Step Three’ enter your keyword – be it a product, a merchant or anything you are looking to partner with and promote. You should then be directed to a Google search page with a list of results for you to browse. Experiment with some of the other Search It! features like ‘Does THIS site have an Affiliate Program?’ and ‘Find Affiliate Programs at APm’. To a prosperous future full of e-Commerce Ideas!